Located on the South Shore of Beautiful Lake Bemidji, The Hampton Inn & Suites offers 100 rooms, 59 Lakeside & 14 Lakeside Suites. Each morning we serve a complimentary breakfast. 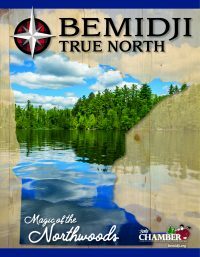 Garrison's Resort is located 30 min from Bemidji, MN on Balm Lake. We have 6 newly remodeled cabins with new appliances, furniture, cable TV & wifi. On the Cass Lake Chain of Nine Lakes. Great rental boats. Log sided cabins w/AC. Big Cabin # 11 open year round, sleeps up to 19 people. Soft Water. Many kids events. Super clean. No Pets Please. Only resort on Medicine Lake; great fishing, beach area, heated pool. 13 lakeside cabins with full bath, carpeting, covered carports. Lodge with food and famous shakes; very kid-friendly...KIDKARDS! Only resort on lake Plantagenet. Lake Plantagenet is Home Of The State Record Perch for Minnesota! (3 lbs. 4 oz.) 2600 acres. Beautiful cabins and RV camping, all in one spot.